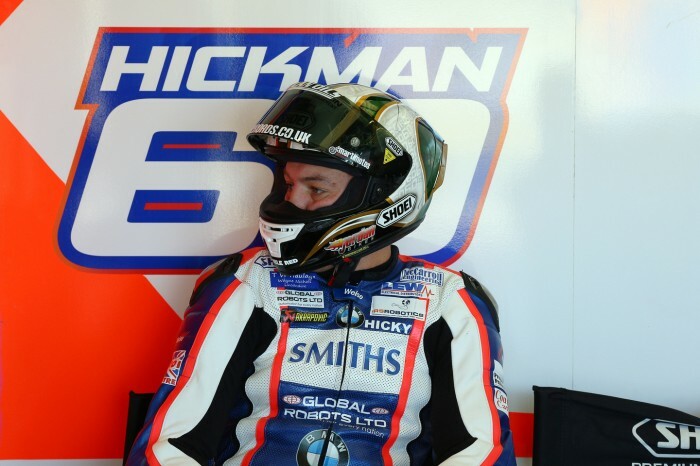 Showdown surprise Peter Hickman says he and the Smith’s Racing BMW squad have made big strides with their qualifying form this weekend after becoming the only BMW to score one of the coveted top-six places. The sixth and final championship contender, who scored zero points in today’s races, was gifted a showdown spot a mere four points clear of Danny Buchan after a start from pit lane in race two following troubles with his S1000RR. After managing to get back out from his original starting spot thanks to a red flag caused by Luke Mossey, Hickman again suffered bike issues and scraped across the line in 19th. And although he admits the weekend was hampered with issues, the Louth rider says he’s happy to be going to Oulton with a better plan to get him further up the grid. 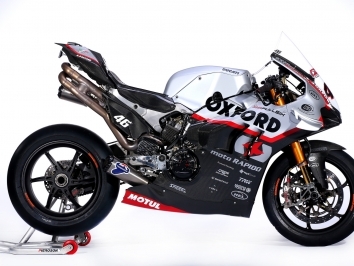 “We’ve had some problems this weekend but the bike has not missed a beat all season,” he said. “We had a bad qualifying, partly due to my own fault, but that’s just the way it goes. “I’m more than happy to get BMW into the showdown for the second year running and it’s great to be the only BMW in the showdown. “We seem to have found something this weekend that’s going to help us qualify, which is a big thing for me this year. Generally, my race pace is pretty good, especially towards the end of the race, but I’m always too far back on the grid.